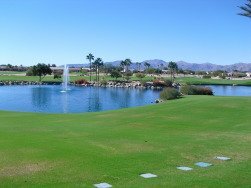 In 2004, we found the perfect Arizona retirement community, Sun City Grand in Surprise...we were happy then...we are happier now. Why? Number one, the climate in Arizona, in our humble opinion, is the best in the USA...no bugs...no humidity. News flash, the real estate market is poor in Arizona...if you are a buyer...you just hit the lotto. According to the Arizona Republic, the local newspaper: of the 75 plus communities where they tracked home values Sun City Grand was tops in the Phoenix area for retention of value in 2009. The home values in our community went down only 3.9% vs. the Phoenix average of 15%. Not just because we chose it...Sun City Grand has an amenity package second to none for the money. It was developed by Del Webb, now owned by Pulte Homes. Four really good golf courses, two huge spas with pools, one indoor, bocce, lawn bowling, billiards, tennis, pickleball, computer labs, on going education, pottery, stained glass all done in a first class manner. Due to the upfront expense of putting in the infrastructure of the community...Webb personnel said this would be the last community of its kind...lucky for us...as reflected in our home value retention figures. Not that were planning on moving anytime soon...this is one decision we have never regretted. So we knew what type of development we would be happy with, We were pleased with the Del Webb reputation. The final decider was the price of the home under $100 a foot...we were sold...and are still very happy. Our search took us years, we would suggest you take your time as well...enjoy the journey.